The performer claims that he has discovered a strange secret numerology code which is embedded in 3 of the most well known 'Unsolved Mysteries of the World' - The Bimini Road, The Voynich Manuscript and The Nazca Lines. According to this weird discovery all the choices made by participants related to these 'Unsolved Mysteries' are amazingly and ominously predetermined, he claims. The performer then goes on to prove this to the utter astonishment of the audience. The routine can be done in both close up or parlor venues. Packs flat and plays big. The necessary printable props are designed and included. The method is simple, self working and totally hands off. It can be performed for one, two or even three participants at a time. It can also be performed remotely over phone or skype, if the images are shared beforehand. Needless to say, there are no sleights, no stooges and no pre show. No dual reality and no instant stooging. Nothing to reset and instantly repeatable with a different outcome. The props are fully examinable before, during and after the routine. The theme, patter, props and overall presentation make this a lingering mystical memory for the audience. 1st edition 2016, 25 pages. What can I say? I am in complete awe over this effect by the UNKNOWN MENTALIST. Needless to say I had printed up my own copy of this effect within 5 minutes after reading the instructions. I give it a 25+ rating. Thank you for putting out your amazing effects and giving it to us undeserving mortals who pretend to be gods with your ideas. 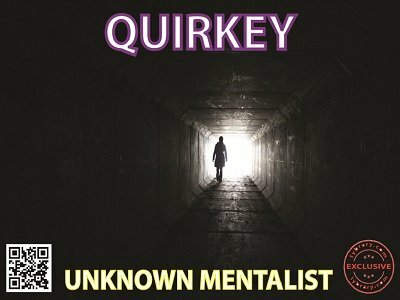 Way to go UNKNOWN MENTALIST!!! The way this author seems to pluck principles and presentations out of thin air, it is sometimes mind boggling to think of. The way unsolved mysteries is used to create this classy routine using a dead simple equation is truly praiseworthy. Just like his Trialogue and Kosmic Kalendar, this too creates an unusual mystic impact. Yet cakewalk to perform.